Best Disposable Hookah Pens of 2018 - Features, Prices & More! Home → Hookah Pens → Top 5 Best Disposable Hookah Pens – Reviews, Features, Pricing & More! 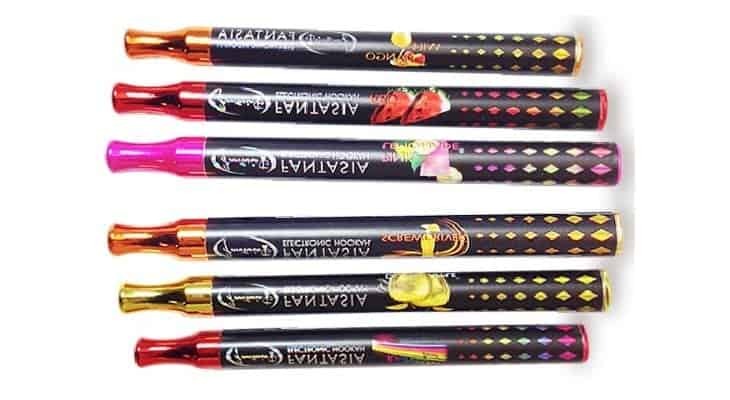 Top 5 Best Disposable Hookah Pens – Reviews, Features, Pricing & More! Flavorsome salutations to all my fellow vapers and to all you brave smokers who’re making the super-rewarding change to the far more affordable and the far more fragrant world of vaping! So, spoiled for choice as we all are when shopping for vaping products, we’ve all noticed the influx of disposable hookah or shisha pens on shelves. These devices are not only an awesome option for hookah-heads who want to test out the idea of vaping without spending a fortune, they, along with disposable e-cigs, are oh so handy when you find yourself on the town without your usual gear. There are a lot of good disposable hookah pens out there but also a lot of bad ones, and ones that you’ll wish you never laid eyes on, that’s why I’m here to offer my advice on the best disposable shisha pens out there. Before I get started though, I think it’s time for a little clarification…a lot of you, especially virgin vapers, are going to be asking yourself what the difference between an e-hookah and an e-cigarette actually is, so I’ll start with that. First up, these devices can look very similar, although the shisha pens tend to be slightly larger or longer and I’ve also noticed that they’re more colorful. Now, where disposable e-cigs focus on a nicotine punch and are more geared toward tobacco-quitters, shisha pens are designed to deliver a punch of delicious flavor and hopefully a decent cloud of vapor to boot. 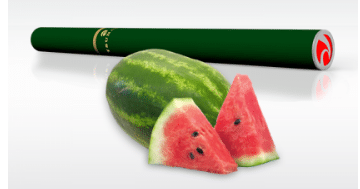 Most shisha pens won’t have any nicotine content, although there are nicotine baring options available. With that said, let me give you the low-down on what I think is the best disposable hookah pen on the market! This all American disposable e-cig, e-cigar and e-hookah brand offers what is probably the sleekest and sexiest of all the disposable shisha pens on the market. The NEwhere E-hookah offers 11, nicotine free, refreshing flavors for just under $10…not bad, considering it’s stylish stainless steel looks and awesome flavor punch with authentic hookah vibes. I was really impressed by the rich vapor production and the battery life. Top of my hookah pen list! I loved the Sour Appletini and the Island Squeeze, truly yummy and unique flavors which really deliver on that old school hookah freshness. Flavor Range: Pina Colada, Smoothberry, Orange Cream, Grape Gatsby, Island Squeeze, Vanilla Thrilla, Chocolate Chill, Big Melons, Banana Berry, Sour Appletini and Pink Lemonade. Fantasia also offers one of the best disposable e-hookah pens on the market, with one of the longest lasting batteries, giving you substantially more draw time than most, up to 800 hits. These nicotine free, draw-activated shisha pens have great looks too, with a genuine hookah style mouthpiece and a cute crystal tip which lights up in a color to match your flavor choice. They’re available at around $9. I’m a huge fan of the draw activated style because that prevents accidental drainage of overheating, no nasty pocket fires! I enjoyed Surfer, its coco-pine and that refreshing tropical vibe really shone through. Purple Haze was also delicious. Fantasia doesn't necessarily offer the same wide range of flavors that some of the other brands do, however I did find their flavors to be really rich and high quality. Flavor Range: Ice Mint, Purple Haze, Washington Apple, Joker, Dirty Blonde, Surfer and 4-Play. Once again, the really neat design, though more in the classic e-cig shape, black with a colorful vapor design…but what really kicks about these is the flavor. A delicious, natural and clean tasting vape with substantial vapor production. The sleeker design means not as much battery life as the previous offerings on my best disposable hookah pen list but the taste definitely makes up for that. I also dig the cigar-style tube packaging…I hold on to these cases to use for my other disposables. The Convicted Melon is an out-of-this-world, really identifiable flavor and I also enjoyed the Grapetastic. 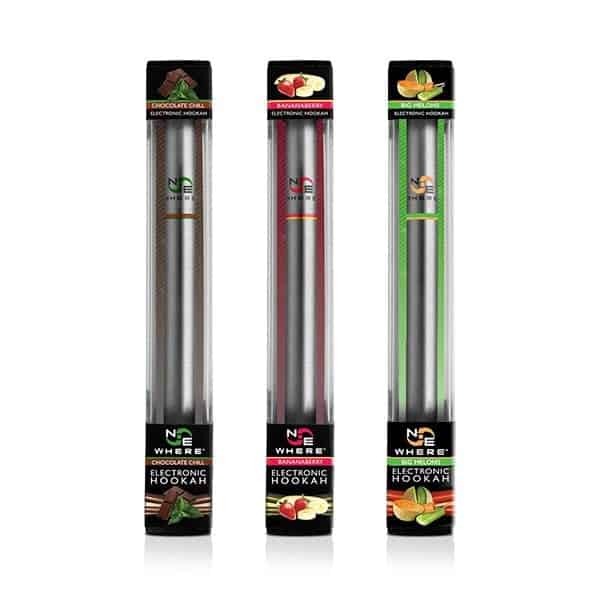 Smooth Disposable E-hookah pens all provide a really refreshing, clean flavor punch, making them a great example of what E-hookahs are really all about! Flavor Range: Convicted Melon, Cool Bliss, Berry Strawberry, Grapetastic, Rockin’ Blueberry, Just Peach and Mango Mayhem. Okay, so here’s another high flavor offering that makes it onto my best e-hookah disposable list, from all American brand Tsunami. With above average battery life at around 700 hits, as well as varying nicotine strengths and a range of ten delicious flavors…this brand’s popularity has a lot to do with the fact that these disposables come at a great price of around $7. I found the flavors fragrant and recognizable, plus the vapor production was awesome. I love the length of these and sleek, monochrome looks. 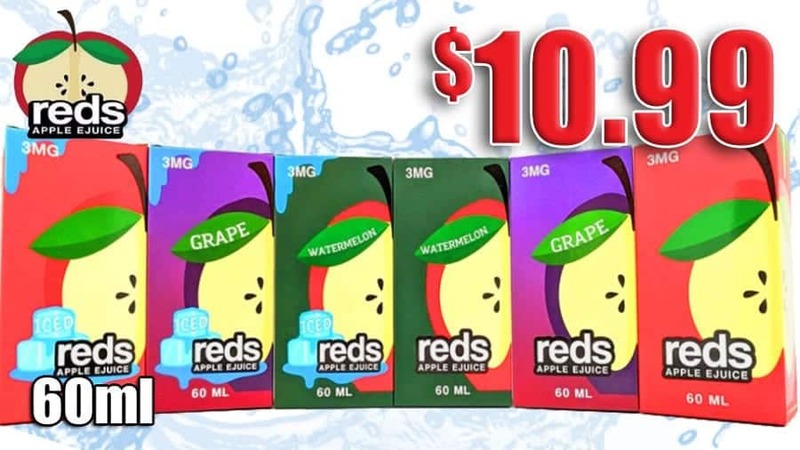 I thought this product gave me excellent value for money with above average hits at a more affordable price than most, my favorite was definitely the delicious Code Red, with its heady cherry vibes. I would by this again for the fact that they look awesome, really sleek and cool in stylish colors and so flavorsome that you can literally smell them through the plastic packaging. Tsunami Disposable E-hookah pens have become some of the most popular the market and that has a lot to do with their delivery of great flavor, excellent battery life and serious affordability as well! Flavor Range: Blue Breeze, Blue Sky, Code Red, Cool Mist, Creamy Cloud, Hawaiian Tropical, Kiss On The Lips, Luscious, Melony, Menthol, Millennium, Punch, Tobacco. You’ve no doubt noticed this popular, rainbow printed addition to the disposable e-hookah family…it’s available at just about every convenience store, gas station and tobacconist in America and definitely growing in popularity. Not the most discreet e-hookah, given the loud color scheme, yet Imperial definitely makes up for that in there delivery of high quality, refreshingly authentic hookah flavors and fairly decent vapor production and a decent 600 hit battery life. I do like the length and feel of these also, although they’re a little pricier than the other brands listed here, at $9 to $10. They’re also available with or without nicotine. I’m a sucker for authentic cocktail flavors, so I really loved the Strawberry Margherita! I also enjoyed Coconut Swirl and Minty Grape. 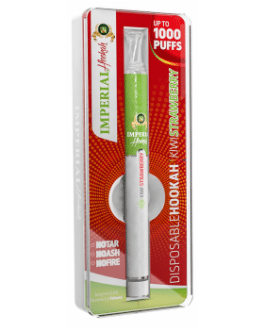 Disposable shisha pens are meant to be all about fragrance and flavor and that is exactly what Imperial Disposable E-hookah pens deliver. Flavor Range: Tangy Twist, Strawberry Margarita, Red Ruby, Summertime Swirl, Sensual Vanilla, Citrus Crush, Coconut Swirl, Peach Mango, Passion Fruit, Mocha Latte, Minty Grape, Melon Dew, Jungle Juice. As a much heavier vaper, I can’t honestly say that the disposable shisha pen would be my first choice when I walk into a vaping shop, however…if I must tell you whether I prefer the shisha pen over the disposable e-cig, being someone who loves a thicker vape and a good flavor hit, I would definitely run with the disposable e-hookah option as of the two disposable types of pens, it delivers the most of those fronts. I think the shisha pen should be the first choice for any one brand new to vaping, who wants to know what to expect without paying megabucks just yet. Nevertheless, even for a serial vaper…this affordable disposables have their uses. There’s been many a night when I’ve found myself out on the town with a flat battery or having left my mod behind in the apartment and I’ve been saved by the fact that I was able to pick up a disposable shisha pen at the corner-store or gas-stop. With the above brands I was always impressed with both the flavor and the quality, even though they obviously didn’t compare to my usual device. Since I think that the shisha pen is an awesome choice for beginners, I really enjoyed this YouTube video I came across, of an absolute vaping newbie getting his first load of a Smooth Disposable E-hooka. I enjoyed watching the excitement in his eyes as he realized he wouldn’t have to endure cigarette cravings and health hazards for the rest of his days and I was super amused by some of the shisha pen uses he came up with…such as, for diabetics who feel like eating sweets but can’t! Check out this video from Blunty.